Heading A good sense of health. 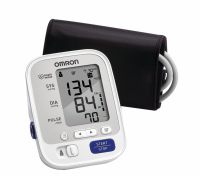 Uses Provides professional equipment for easy home monitoring of blood pressure. 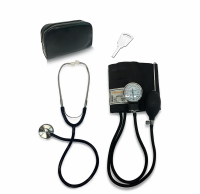 Aid your physician with accurate recordings of daily readings. Easy to use with complete illustrated instructions for 'self-taking' method. Portable, sturdy, vinyl storage case, convenient for home, office, or traveling. One party use: self-taking method easily adapted with the D-Ring Cuff. 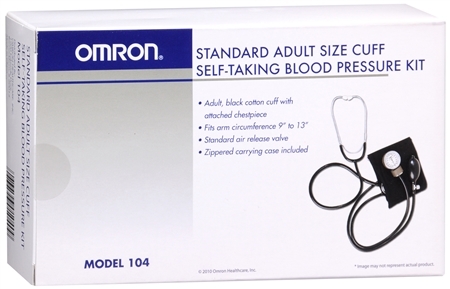 Contains: 1 gauge; 1 D-ring cotton cuff with attached chestpiece, fits arm circumference size 9 inches to 13 inches; 1 bladder; 1 bulb and air release valve; 1 binaural with eartips; 1 Y-tubing; 1 vinyl storage case; 1 instruction manual; 1 record chart. Warnings This product contains natural rubber latex which may cause allergic reactions.